The Columbus Youth Jazz Ensemble (CYJE) is a large jazz ensemble experience for students in middle through high school. Led by saxophonist Matt James (Ohio University), The CYJE provides students the opportunity to explore their individual skills within a supportive and relaxed ensemble environment, with a concentration on exploring jazz styles, standard repertoire and beginning improvisation. The bands bring together students from a variety of backgrounds and skill levels to create a fun and motivating big band experience. The CYJE is open to saxophone, trumpet, trombone, piano, bass, guitar and drums. The CYJE rehearses on Sunday afternoons from 4:00 – 6:00 p.m. at the Jazz Academy, 769 East Long Street in the Lincoln Theatre complex, and performs two to three concerts each year. Small group opportunities are available as requested. 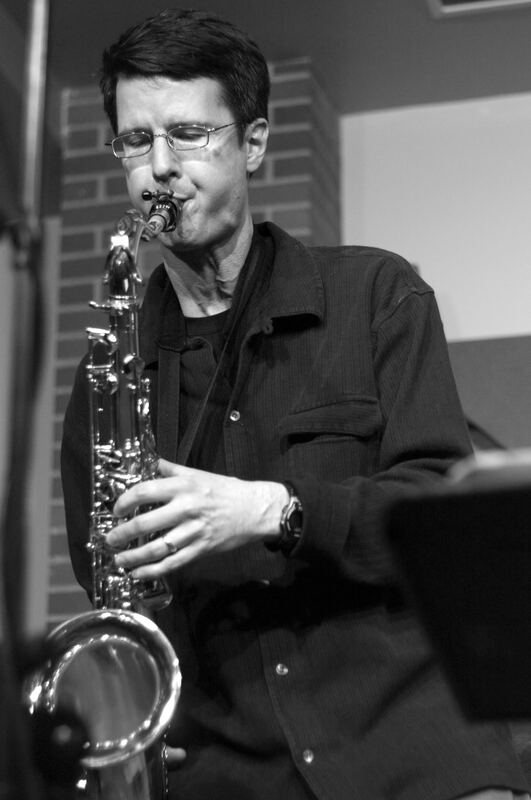 Matthew James is Professor of Saxophone and Jazz Studies and Associate Director of the Ohio University School of Music. He joined the OU faculty in 1997, later receiving the 2008 Ohio University School of Music Outstanding Teaching Award. He was on the faculty of the University of Toledo prior to joining Ohio University. His 2014 release, Opening Lines, is available on iTunes and CD Baby. James performed as lead alto saxophonist for 1-1/2 years with the Glenn Miller Orchestra, touring the U.S., Canada, Japan and South America. He has also performed and recorded as lead alto saxophonist with the Phil Collins Big Band. His freelance work has included performances with the Toledo Jazz Orchestra, the Dallas Jazz Orchestra, the Cleveland Jazz Orchestra, Aretha Franklin, Mel Torme, the Temptations, Lou Rawls, Donna Summer, The Four Tops, Rosemary Clooney, Jim Nabors, the Jimmy Dorsey Orchestra, the Four Freshmen, UpBeat Brass, Toledo Symphony, Landau Eugene Murphy, Jr., Los Viejos Blanquitos, and the Ohio Valley Symphony. A native of Northbrook, Illinois, James studied at Northern Illinois University, and received the M.M. and D.M.A. in saxophone performance from the University of North Texas, where he was a teaching fellow and lead alto saxophonist with the One O’Clock Lab Band.